When you tap into all the efficiencies in time and inputs Case IH AFS can bring to your farm, you need the speed, accuracy and reliability only AFS RTK+ can deliver. The dense and robust AFS RTK+ network ensures a fast, dependable signal and maximum accuracy in all conditions, regardless of field location. AFS RTK+ ensures outstanding accuracy you can count on. Cellular RTK+ guidance correction signals alleviate problems associated with traditional radio-delivered RTK, including line-of-sight issues. Hills, valleys, trees, buildings or other structures no longer block RTK signals. That extends your distance of travel from a cellular base while maintaining sub-inch accuracy. When your farming practices demand sub-inch accuracy, Case IH offers three options that are ideal for strip-till or consistent wheel traffic across fields. When you can connect to an established RTK base station or base station network within eight miles of where you plan to conduct field operations. This is an excellent option for use with row crops, strip-till and other applications requiring sub-inch accuracy. Choose CenterPoint VRS when you farm in areas with robust cellular coverage or if your operations are spread out over a large geographic area. In many applications, such as seeding or harvesting cereal grains, spreading dry fertilizer or tillage, 3- to 5-inch accuracy provides an appropriate level of overlap management. Choose from one of these options to meet your accuracy needs. Choose OmniSTAR HP for high-performance broadacre seeding, spraying and harvesting applications. Use only in areas with open views of the sky at all times. OmniSTAR XP is best suited for high-performance broadacre spraying and land-tillage applications. Choose OmniSTAR G2 when more reliable coverage time is necessary, due to the use of GLONASS satellites in addition to the standard GPS satellites. When accuracy and repeatability aren’t the driving factors for adding precision technology to your farming operation, these accuracy options can effectively meet your needs. WAAS is a good option for broadacre crop spraying, tillage applications and other applications where accuracy and repeatability aren't your highest priorities. WAAS is best when you want a quick start-up time and don't need the highest level of accuracy or repeatability. Broadacre crop spraying, tillage and other applications in which accuracy and repeatability aren’t necessarily your top objectives. Choose OmniSTAR VBS when a quick start-up time is your top priority. Broadacre crop spraying, tillage applications and other applications. Accurate data gathering, mapping, autoguidance and other features and functionality that Case IH Advanced Farming Systems (AFS) brings to your operation can improve productivity and agronomic performance, and increase overall efficiency year-round. Case IH receivers and related components help you implement AFS technology across all your equipment and all applications. The AFS RTK+ mobile application gives you ultimate accessibility and control. 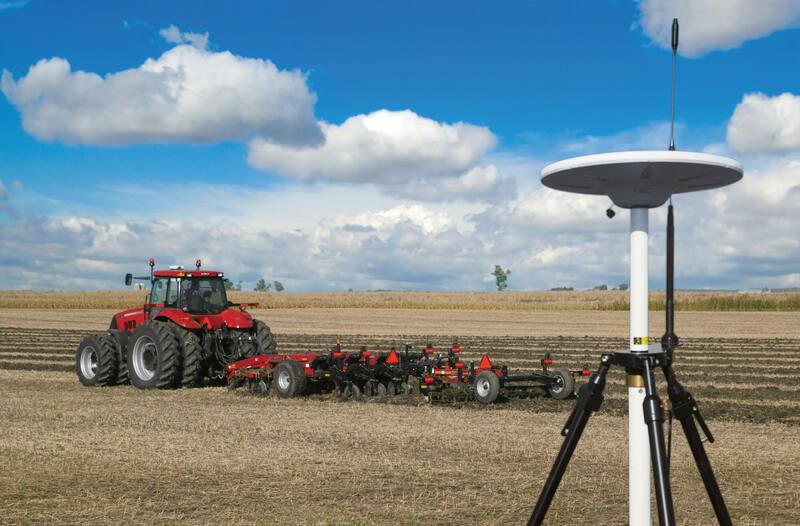 Monitor your farming operation’s rovers and see surrounding reference stations Get a detailed overview — along with zoom capabilities — of a vehicle or reference station. The AFS RTK+ app is available for free download in Google Play Store on Android phones and in the App Store on iOS phones. See rovers and surrounding RTK network stations with this view. The app lets you view the status on reference stations and rovers in live mode on your screen. On your phone, zoom in on a specific rover or reference station and get a detailed overview. See your farm fleet of active rovers and filter by status (RTK fixed, RTK float, DGPS, etc.) in list mode. This technology backs up the RTK signal in periods of poor signal or interruption, and allows the user to continue operation until signal is re-established. xFill® technology is compatible with the AFS RTK+ signal, when using an xFill-compatible receiver.